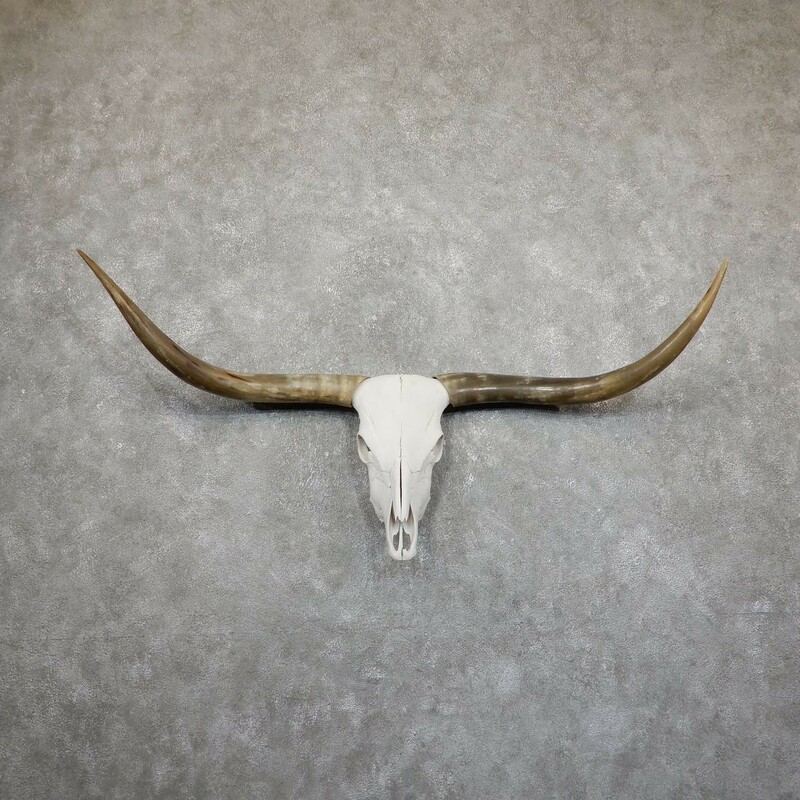 This is a stunning Texas Longhorn steer "European" taxidermy mount, featuring a beautiful set of horns, accented with an awesome professionally-cleaned and whittened skull. 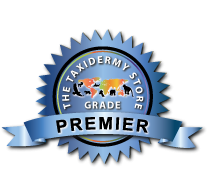 All this combined with expert craftsmanship earns this item our Premier™ overall quality rating. All applicable dimensions are included to help ensure this item will fit within your intended display space. The Steer (or Bull) is a male ungulate from the Bovine Family. They can be throughout the world, and have a long history in many cultures for food and work. The average size of a male steer is around 1500 lbs, but some sub-speceis can grow to over double that weight! The males horns tend to grow horizontally away from the head, and curl near the tip. The horns often vary in size, color and appearance depending upon the sub-specie.